We’ve heard stories over the years where technology has proven that it might as well have a mind of its own.. What would you say, though, if it came to your attention that you were not only being recorded word-for-word, but that your favorite tech gadget was autonomously dispatching everything you say via message to an unauthorized recipient? One family in Portland, Oregon is grappling with that debacle this week, following claims that one of their smart home-connected Amazon Echo speakers recently recorded a private conversation shared in the comfort of their home, prior to automatically sending the recorded audio clip to a random contact over 171 miles away in Seattle, Washington, local news station KIRO 7 reported. “My husband and I would joke and say I’d bet these devices are listening to what we’re saying,” said Danielle, who requested that her last name remain anonymous. Danielle, who along with her husband and kids live in a multi-room home on the outskirts of Portland, told the local news affiliate that every room in her house was wired with an Echo device as a tool to help control certain home features like heating, cooling, lighting and their security system. About two weeks ago, the report says, Danielle received a strange phone call from one of her husband’s employees located in Seattle, who was saved in their phone contacts. Deeply skeptical, curious, and wanting a bit of additional confirmation, Danielle requested a copy of the clip from the caller, at whence her and her husband were able to hear it for themselves. Danielle reportedly went from room-to-room, unplugging every last Echo device in her home and then contacting Amazon, repeatedly. She was ultimately successful getting in contact with someone who pledged that an Alexa engineer would investigate the matter. Above and beyond that, though, Danielle says the engineer she spoke with failed to address what exactly happened, why it happened, or if the issue is/was a larger epidemic that other Echo owners should be wary of. “He told us that the device just guessed what we were saying” and that’s it, Danielle said, noting that her Echo did not audibly advise her it was going to send the recording, which it’s programmed to do. 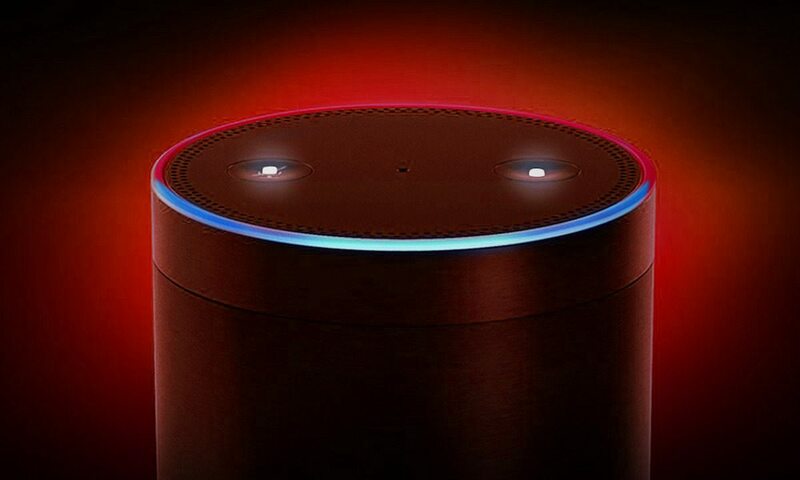 Though Danielle was hoping Amazon would issue her a refund for the Echo devices she already purchased, representatives with the company apparently said that’s not an option.. They did, however, offer Danielle and her husband the option to “de-provision” their Echo units — essentially disabling the voice recording feature while allowing them to be used exclusively as smart home controls. We’ll, that’s not exactly what she had in mind, but for her part Danielle appears to be making the best of the situation, and just wants to warn anyone else who uses an Echo device to be cautious of its capabilities.